We have all heard horror stories about online predators taking or harming children. Every parent has seen or heard of the television show “To Catch A Predator”. Employing a spy cell phone app or other spy equipment cell phones lets you catch the predator before your child is harmed. Don't let your child or teen become their next victim. 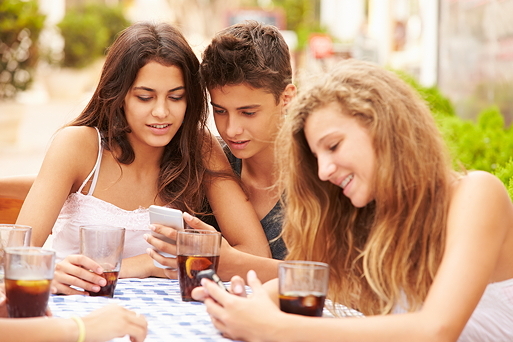 Most kids use their phones or tablets to communicate with friends and family. Protect their devices and use this guide to protect THEM. Choosing your spy cell phone app is going to be dependent on the info you need to collect. If you can't decide, it's best to choose an option that has many tools available – including data from email, text, phone calls and social media spying. Auto Forward Spy goes a step beyond those basics and includes GPS tracking, remote photo taking abilities and social messenger coverage. If you can't decide what to spy on, spy on them all. You must be realistic. You will need a few minutes with the phone in hand to install your app. Choose and app that can install quickly. Once you install your cell phone spy app, make sure you delete any evidence that you were using the device, including installation files. If you visited a website from the device to download the spy software, you need to erase the activity from the browser's history. Cover your tracks. Once installed, make sure you adjust your settings as necessary. Quality spy applications will give you the option to choose what information is collected. If you are unsure, collect all information now and eliminate channels later. Test out your cell phone spy app after installing. Send your child a text message or call the device to ensure it's working. If you find that it's not functioning correctly, call your available tech support or customer service. They will be able to walk you through the installation. It's pretty rare that this happen, though. You should have no problems installing the app. If the app you are using doesn't offer tech support, you should make the switch to a service that does. You may have to spend a small amount of money to get this type of service, but you can't put a price on your child's safety. There are other ways you can go about spying on your kids cell phone. There are numerous gadgets available online, but keep in mind – most of these will only record text and phone calls. Most kids and teens use social media, chat applications and wifi texting to communicate with their friends, and online predators know this and use it to their advantage. Using a spy cell phone app isn't just about spying on your child. It's about keeping them safe and protected from sexual predators, online bullies, and unbecoming behavior. You may be able to find free options, or feel that simply looking at your phone bill is sufficient to monitor you child, but be aware – just because you aren't aware of a chat app or social media network doesn't mean that your child isn't either. Protect them from the threats you can and can't see by using spy software.